So I Want To Start Something New .. Called 'Blind Contour Corner'. Since I like drawing these Blind Contour Drawings, why not share them on a more regular basis. At least we can all get a kick out of them.. and hey! who doesn't need a good smile or laugh once in a while. 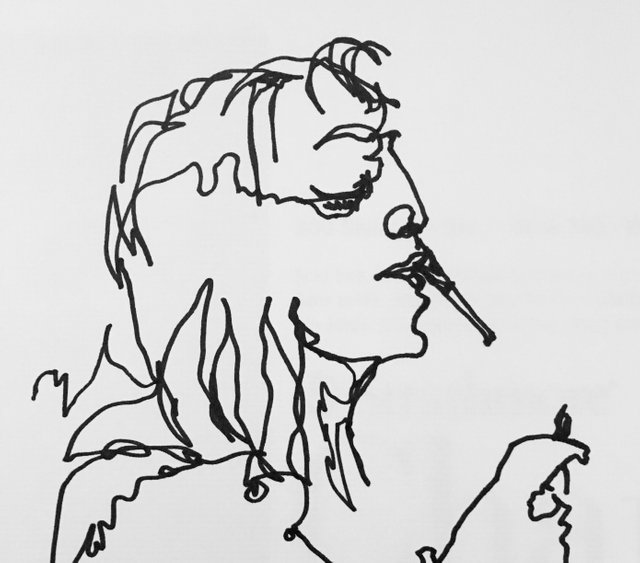 I know I sure can use one daily :-D So here we goooooo-----> I am going to post at least once or twice per week a new blind contour drawing of something or someone I come across while muddling along on my daily routines. I will post them either shaded or not depending on my mood or which I thinks satisfies my artistic spirit. I may even make up some sort of quaky story to go with it if I get creative enough.